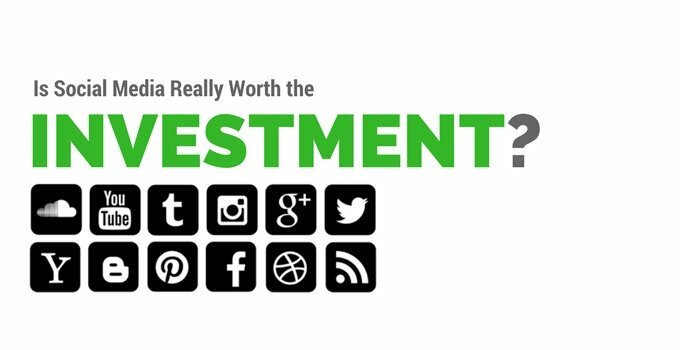 BlogHome » Blog » Is Social Media Marketing Really Worth the Investment? One of the hardest things for business owners to measure is the ROI of social media marketing. Oftentimes, we hear complaints about all of the time wasted posting pictures and updates on social media channels only to gather one or two likes and maybe a comment. It makes business owners feel like they are throwing a ton of money into a black hole and that they will never see an adequate return on investment. The problem lies with a lack of understanding how the process of social media marketing actually helps businesses in the long run. You cannot guarantee a high ROI from social media marketing right out of the gate, same goes for any marketing strategy. Unless a customer purchases something from your business and indicates that they came to you based on a specific marketing channel, nailing down an exact ROI can be tricky for all marketing campaigns. With billions of monthly active users on social media channels, your business can’t afford not to get in the social game. “The number of people saying that they turn to social media to get their news, as opposed to traditional outlets, has doubled since 2010, from 9% to 19%, according to the Pew Research Center.” Social media channels allow your customers to directly interact with your business. Customers view this as a direct line from them to your business instead of having to call an 1-800 number and be tossed around from one customer service representative to another just to get a question answered. Consumers can use these platforms to voice their positive or negative feedback about their experiences. They can even share your content on their own pages which gives your business more exposure and the opportunity to reach a whole new audience that may not have heard of you before. It’s another form of word-of-mouth advertising. Think of it as a bunch of people talking to other consumers about your products. We do this in real life, but more people are doing it on social media now more than ever. If you know you’re being talked about online, why wouldn’t you want to join the conversation? There used to be a time where the consumer was at the bottom of the pyramid, but that time is long gone. Businesses need to focus more efforts on consumers or the reprocutions could be devastating. Customers enjoy having easy access to businesses that they use regularly. They like it even more when the business interacts with them. When businesses engage with their customers online, they are showing that they care about customers’ feedback and opinions. This also gives business owners the opportunity to involve followers in future business decisions, such as a new product, flavor, or new artwork for a logo. Companies can also offer exclusive benefits to their online community that may include exclusive sales, rewards, or promotional offers. When consumers feel like they are personally involved in the business, they will develop strong relationships with the company, which, in turn, builds customer loyalty. When customers are loyal to your business, they are less likely to go shop at your competitors’ stores. Now, imagine how much money one customer could spend at your store over a lifetime. This figure is the customer lifetime value (CLV). Customer lifetime value can be defined as the net worth, or dollar value, of one customer to a firm over time. The more loyal your customers are over their lifetime, the more profit your business will gain because of this relationship. 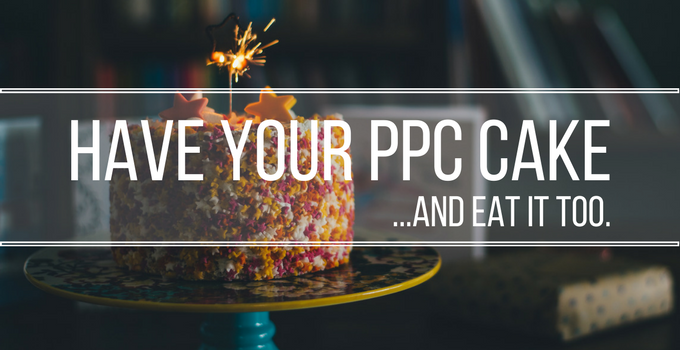 Imagine the ROI your business would receive if you had several loyal customers. Before you start a social media campaign, you should have clearly defined and specific goals that you want to achieve. These goals should consist of things that you can actually attach a number to, such as contact form submissions, purchases, downloads of a whitepaper or eBook, etc. Social media actions such as likes, comments and shares are good to track too, but they shouldn’t be your main goals. Organic reach isn’t the only way to measure social media success. Choosing goals based on actions that convert a user to a lead will give you a better understanding of your ROI. It is important to remember that every business owner’s goal is to increase profits, but not receiving an immediate return on investment does not mean that your social media marketing efforts are a failure. Make use of the built in analytics that come with each social platform to learn more about your follower base. There, you will find several metrics such as your reach, post engagement, increases or decreases in followers, and more to help you figure out what content strategies are successful and which ones are not. These built-in analytics allow companies to see exactly who their audience really is so they can tailor their marketing efforts accordingly. You can easily see demographic information and start learning about your audiences’ preferences and habits. Another great tool to help track your goals is setting up goal tracking in Google Analytics. Goal tracking in analytics gives you the exact number of conversions for any specific objective that you may be tracking. The most important aspect of social media marketing that business owners should keep in mind is that social media provides intangible benefits that are impossible to get from traditional marketing. Social media allows you to build your brand, earn strong links from reputable sources, and most importantly, interact directly with your consumers. Interacting with your consumers is an invaluable tool that businesses should be taking advantage of. Social media marketing is here to stay and has already influenced drastic changes to the marketing game. 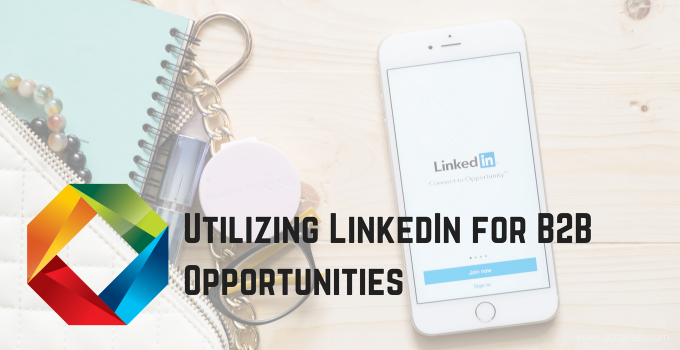 The sooner companies realize the importance of utilizing the appropriate social media channels for their business, the sooner they can start reaping the endless benefits it can offer. For more information about the benefits of social media marketing, contact the SocialSEO team today! previous post: What Is A XML Sitemap? 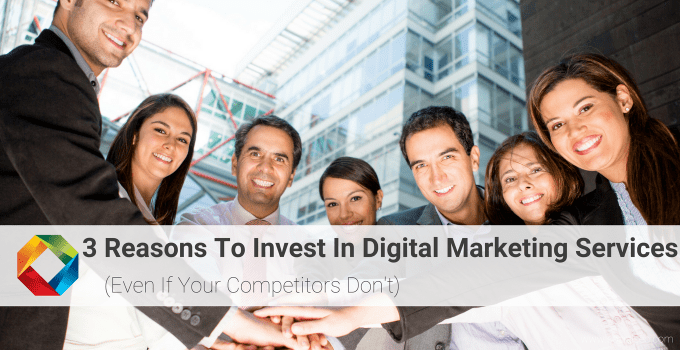 next post: Is Digital Marketing Good For My Business?